Jimmy Kimmel Live Summerfest Announcement | Jimmy Kimmel Live! Summerfest presented by American Family Insurance is excited to announce over 100 headlining acts that will perform at Summerfest's 50thedition. 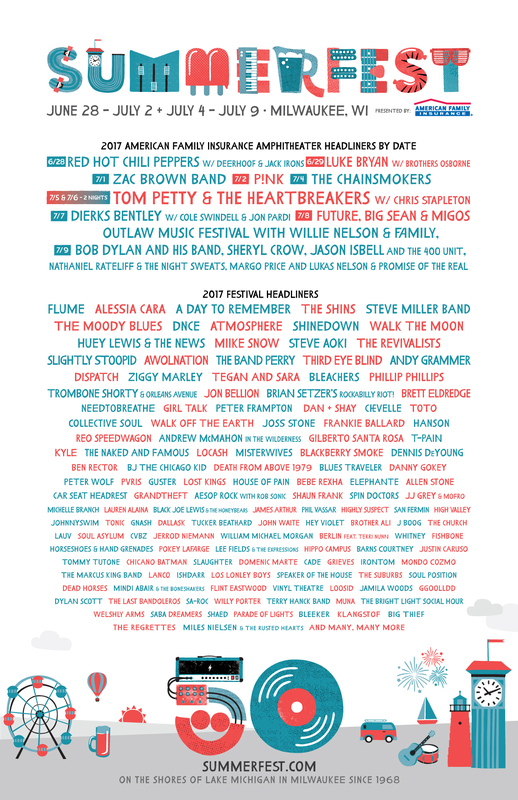 The full lineup for the festival can be viewed online at abc.go.com and Summerfest.com. ABC's Jimmy Kimmel Live! featuring a performance by major ground stage headliner, The Shins on this evening's broadcast. Additionally, Jimmy Kimmel Live and Summerfest have plans to bring live performances from the festival to viewers across the globe on via multiple online platforms. Through the proposed collaboration with the festival, the late night franchise will have exclusive access to festival performances and may make them available to audiences worldwide, free of charge. "Music is in the DNA of Jimmy Kimmel Live and the show has a passion for bringing great, one of a kind content to our fans," said co-executive producer Doug Deluca. "Jumping in with SummerFest to launch such a big initiative makes complete sense, they are the country's largest music festival." More details of the streaming schedule to be announced as they are finalized.